You’ve possibly heard of the Cadillac tax, skinny plans and even read up on potential employer penalties, but there’s a lot to sort through when it comes to the details of health care reform. We’ve briefly summarized the latest issues and bottom-line concerns for businesses, so you can stay focused and prepare for key changes in the months ahead. And at the end of the article click-through for two more bonus topics. Employer mandate and penalties took effect Jan. 1. Businesses with 100 or more full-time equivalent employees will need to offer compliant coverage to at least 70 percent of their full-time equivalent employees and dependents in 2015. In 2016, businesses with 50 or more employees will also be responsible to comply. Additionally, employers must extend coverage to at least 95 percent of their full-time workforce and dependents in order meet the requirement. Employers who didn’t offer dependent coverage in either 2013 or 2014 are also given a grace period. These employers won’t be penalized in 2015 as long as the companies can show they’re taking steps to make dependent coverage available in 2016. Bottom line: The time to act is now. The risk of employer penalties can no longer be ignored. Employers with 50 or more full-time equivalent employees need to pay attention to the triggers that could activate these penalties. Take advantage of resources such as Aflac’s health care reform decision tool, or ask your broker or benefits advisor for practical steps you can take to comply with the new regulations. Exponential employee enrollment in private exchanges; expected to exceed government marketplaces. Private exchanges are online marketplaces, where people and businesses can shop for, compare and buy health insurance. They offer one-stop shopping for a variety of benefits including major medical, dental, vision and voluntary products to meet employees’ individual needs. While private exchanges existed prior to health care reform, they have become part of the benefits lexicon as the law has gone into effect. A recent Accenture study found 2014 enrollment in private exchanges exceeded three times their predictions. The trend is expected to continue, ultimately surpassing state and federally funded exchanges, reaching 40 million in 2018. While exchanges offer employers more predictable costs and additional options for employees, the study notes there’s a trade-off: Approximately 25 percent of employees enrolled in private exchanges selected less coverage than they previously had, leading to lower monthly premiums, but higher out-of-pocket costs.1 Less coverage shifts the amount of reimbursement medical providers seek directly from patients and can leave employees financially unprepared for health care costs. Bottom line: Take a look – these may be a great fit for your business. Private exchanges help employers offer robust benefits options with predictable health care costs on a single platform. If your company hasn’t already, consider the option for your employees. Keep in mind the health and financial ramifications to your workforce. To transition successfully to a private exchange, a comprehensive employee communications plan with benefits education components will be essential. Opposing court rulings could lead to more uncertainty for health care reform. In summer 2014, two courts delivered conflicting rulings concerning the legality of health care subsidies. These tax advantages help offset the cost of purchasing health care coverage, for those who qualify, through federal or state facilitated health insurance marketplaces. The rulings could increase the possibility of another high-stakes U.S. Supreme Court case for health care reform. The possibility of overturning subsidies is no trivial matter. Individuals would lose the subsidies that help to make coverage affordable on federal health insurance marketplaces. Since employer penalties are triggered by employees receiving subsidies, it’s less likely the employer mandate could be enforced under the current law. 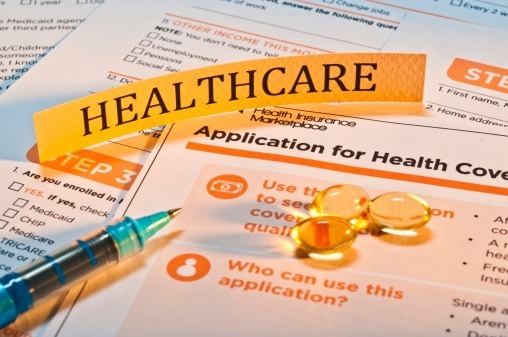 There are questions about whether individuals would be required to purchase health insurance without these subsidies, which could jeopardize the stability of the individual insurance market and success of health care reform. Bottom line: More wait and see. Challenges to the health care law aren’t over. It could take several years for potential rulings to be resolved by the U.S. Supreme Court. For the time being, employers should operate under the assumption that their employees may be eligible to receive subsidies and, therefore, could trigger a penalty for their business. For even more, take a look at this easy-to-understand wrap up of five hot reform-related topics, and we’ll help you grasp what you need to do now. And get more health insurance information at aflac.com/healthcarereform.